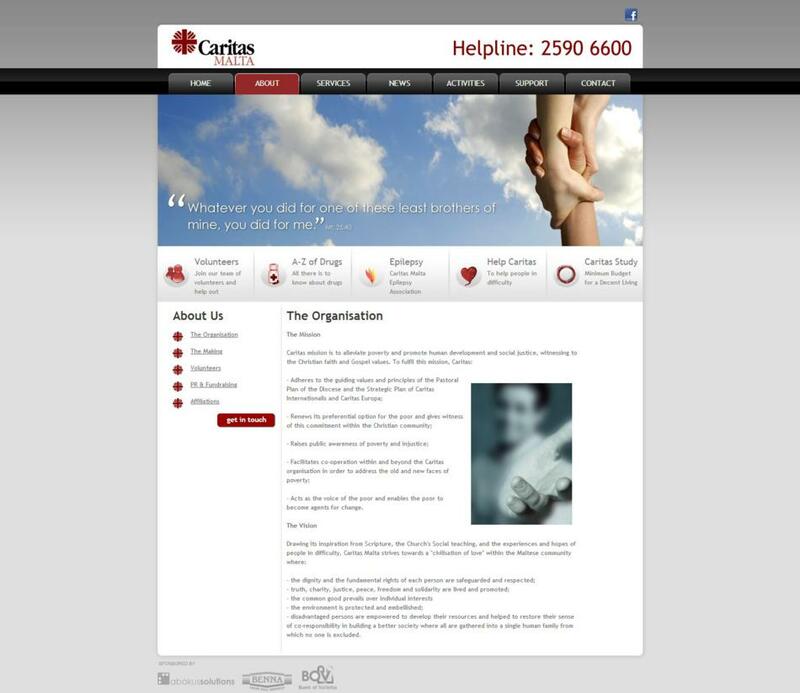 Abakus continues to support Caritas Malta in launching their new website which gives easier access to information about the organization, the services it provides and the activities it organizes. 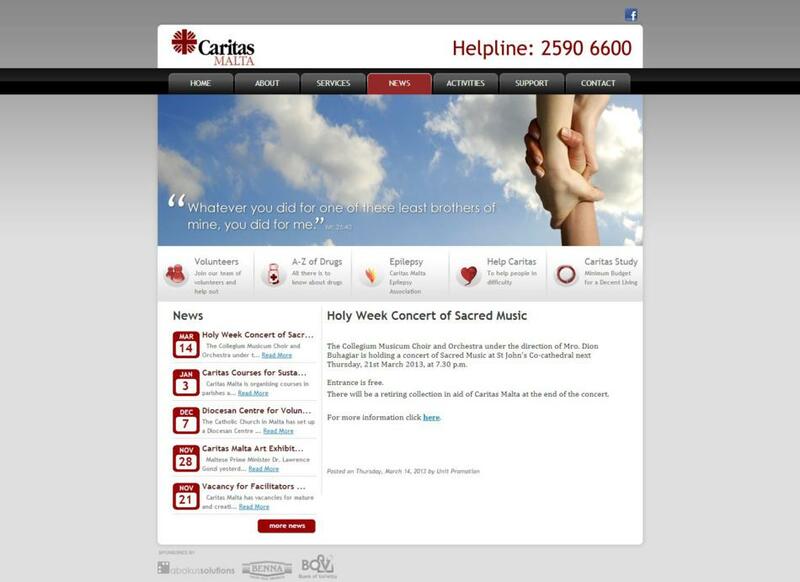 Making use of latest technology, www.caritasmalta.org lists Caritas Malta services, which are offered free of charge to persons in need. These include New Hope – the various programmes for rehabilitation from drug abuse, Prevention Education, Counselling and Social Work, Community Outreach, HelpAge, the Foundation for Victims of Usury, and Xefaq – the counselling service for persons at risk from sexually transmitted infections. The Support Groups page gives information about Gamblers Anonymous, the Rose Group – for widowed and separated persons, the Thursday Club – for mentally challenged persons, Twenty-one Plus – for young persons seeking development of social skills, and sections on Emotions Anonymous – for persons going through emotional difficulties, and Alcoholics Anonymous. 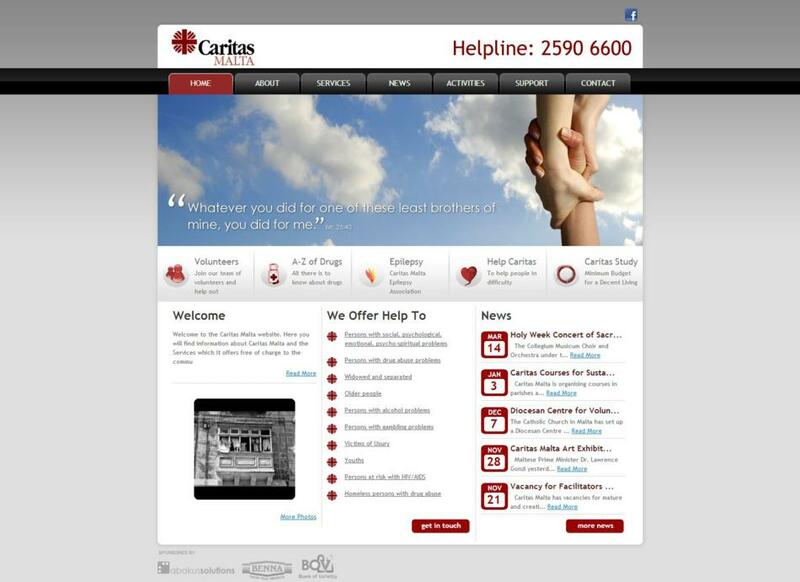 The site also hosts a highly informative micro-site of the Caritas Malta Epilepsy Association.